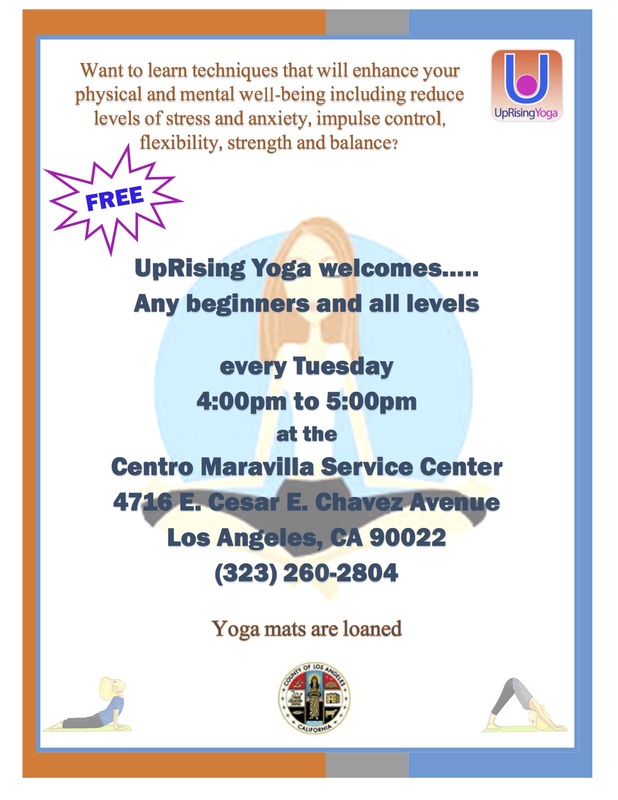 ​Please meeting UpRising Yoga Teacher and Volunteer, Laura VanDenBergh, who has been working/volunteering with UpRising Yoga since October 2015. She teaches both at Central Juvenile Hall and many of our Free Community Yoga classes throughout Los Angeles. Not only is she an amazing yoga instructor and warrior for UpRising Yoga and our mission, she is also a Writer, Film Maker, and Doula! Check out her website here and read her interview below to learn more and her interests and her work. Laura V: I’m a writer - and actually, I’m currently turning one of my scripts into a reality! My web series DILF Diaries is coming out this summer. You can find us on Facebook at facebook.com/dilfdiaries. I run a camping group for womxn (trans and cis inclusive), called The Sisterhood, that involves a lot of giggling and even more wood chopping. I hike, I bake bread, and recently, I’ve been practicing my Spanish as much as possible. Q: Who has been your greatest teacher or inspiration? Laura V: The youth!!!! I can’t tell you enough about how much I love the youth. They give me so much hope for the future. Kids will drop profound wisdom without even trying - like the quote from the 10 year old I posted above, or the time that one of our incarcerated youth defined integrity as “Always working hard to do the right thing, even if others don’t see it that way”. You have to really be with them, believe in them, and trust them in order to receive their wisdom though. They know if you feel superior to them, or you’re scared of them, or you’re suspicious of their motives, and they’ll shut themselves off to you if they sense that. Just be open to the youth, and you’ll learn so much. Laura V: When I was 7 years old, my mom got this yoga VHS - Ali McGraw: Yoga Mind & Body. I would always spy on her when she would practice in the living room, and it would totally throw her off. One day, she said, “Look, Laura, you can come in here and do yoga with me… but NO interrupting, and you’ve got to stick to the instructions.” I was hooked. I actually memorized every word to that video. I have childhood friends who still remember me begging them to do yoga with me when they would come over. Q: What’s your mission as a yoga instructor? Who are you trying to reach and why? Laura V: My mission is to offer radically-inclusive, body-positive, trauma-informed yoga. I want to reach anyone who has been turned off by the media’s portrayal of yoga, but who still wants to reap the benefits of the practice. A huge part of that, I think, is for those of us who are overrepresented (young, thin, white, able-bodied, cisgendered) to step aside and create more space for instructors who don’t look like us. I plan to spend more time standing behind, and taking classes from, instructors are a lot less likely to get the spotlight they deserve. Laura V: Ever since I was a teen, I’ve struggled with anxiety and depression. I go through periods where getting to a yoga class can feel walking through nearly-dried cement. There have been times where all I can muster is breath work. But I always remember how it feels to open my eyes after Savasana, and I always come back to the practice. Simply knowing I have that refuge within keeps my darkest days from blacking out completely. Q: What is your definition of healing? How does yoga align with this? Laura V: To me, healing is the process of learning how to carry your pain. I was sexually assaulted as a teenager, and I’ve carried that pain in different ways and capacities, and for different reasons, for the past 15 years. It helps to remind me that there is still a lot of fighting we need to do to eradicate misogyny. I think you’ve started to heal once you’ve learned to use your pain to gain strength. Yoga aligns with this because it teaches you to breathe through the difficulties - and once you can breathe through the difficulties, you become resilient. Laura V: Being able to share the tool that has saved my life over and over again is what I love most about teaching yoga. Together we built a yoga program which has helped thousands of people - both young and old - to bring wellness into their lives. We have created something special. And now the time has come for me to pass the torch so UpRising Yoga can soar to new heights! I am delighted to announce that Dezryelle Aerici will be the Interim Executive Director of UpRising Yoga! Many of you know Dez as a dedicated, passionate member of our URY tribe. She brings great skills and knowledge about how to unlock the healing power of yoga for the youth and the communities we are dedicated to. I am so excited about the energy she will bring to our program! I will remain as a Board Member and advisor to UpRising Yoga. I am so grateful for every experience, friendship and kindness shared with me on this incredible journey. Thank you for all of the support and love each of you have brought to UpRising Yoga over these past five years. I have a feeling that this movement is just getting started!